The Call for Poster Presentations has ended. Display your leadership and expertise directly to attendees in a one-on-one or group setting. Over 1,500 attendees will be onsite, giving you the perfect opportunity to make an impact on the solar and storage community! 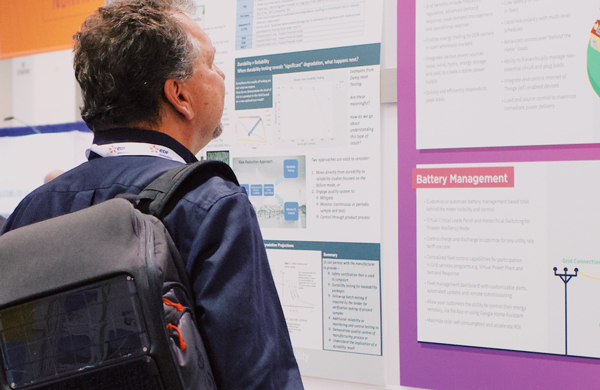 Submit a poster presentation abstract to showcase your innovations, analysis, and recommended best practices that would propel the solar, storage, and smart energy community.